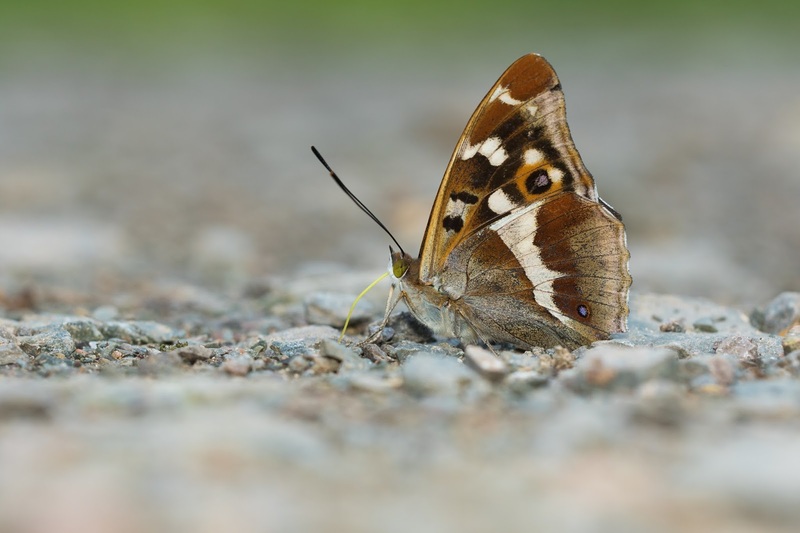 It's been a long time since I've undertaken a 'butterfly twitch', but a family party in the Midlands and a Monday off in mid July came together nicely for my first attempt at purple emperor. When I arrived at Fermyn Woods in Northants there were a promising number of cars in the carpark (it's always nice to be shown where to look by other knowledgable enthusiasts! ), but the weather was iffy at best. The first couple of chaps I spoke to had given up for the day, so after we swapped good sites for wildlife in Yorkshire (road atlas and a biro) they hit the road, leaving me eating my sandwiches in the rain. As soon as the rain stopped, I headed into the wood and stopped to chat to two others heading back for their car. 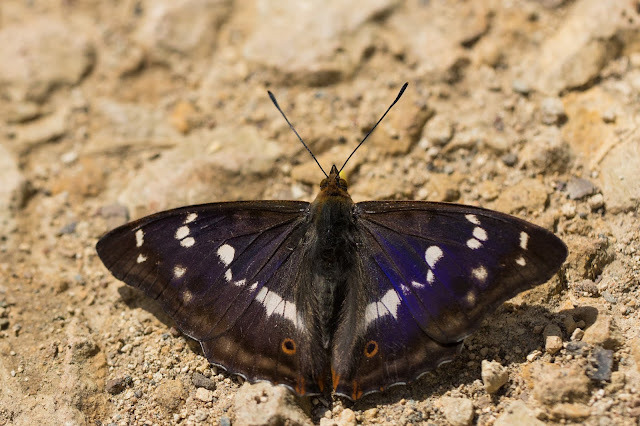 They had seen purple emperor that morning, so my optimism grew. Further along the track, I was waved over by an elderly gentleman who put me onto a lovely silver-washed fritillary. Not what I was after, but a nice start. We got chatting and he mentioned that he might have spooked an emperor on the corner so we returned to where he'd been. There on cue was my first ever purple emperor, which promptly flew into the air, circled a few times before settling on his boot! Fantastic. As the weather improved I was afforded even better views of other individuals, and also added white admiral and white-letter hairstreak, though I didn't manage any pictures. My mission for the next two weeks is to add white-letter hairstreak and purple hairstreak to the patch list, and hopefully pick up small skipper and comma along the way. Definitely! I photographed one at St Wilfrids in July last year. Quite a butterfly twitch, it's beautiful! I'd love to have spent more time with them! Nothing so grand up here on my little farmland patch. You're in Leeds aren't you, Pam? I know spots for white-letter hairstreak and purple hairstreak from when I used to live there if you're interested!? I am in Leeds and yes definitely interested, thank you! Hi Pam. DM me your email address on Twitter and I'll send you very precise directions!